Posted on January 20th, 2019. 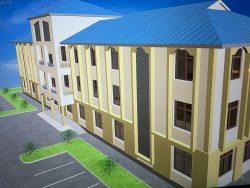 The Phase II Dormitory for the Arusha Bible College is our current project. The dorm will sleep 240 students. It will be three stories and have showers, toilets, study areas, and all new furniture. 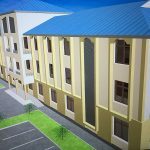 This dorm will further the mission of educating and training more ministry students to share the Good News in Tanzania and beyond. The cost to construct this dorm is $350,000. To start construction we need $200,000 in the project account. As of this month, the account is close to $100k. We are asking God to speak to your heart about joining this effort. The breakdown is close to $1500 per student. $120K would cover the cost for one floor. What an investment you would be making for eternity! Let us hear from you…be a part of this vision that started with the Brutons back in 1958 on the very grounds of the Arusha Bible College.